You now have a 30 cm x 60 cm rectangle! Let’s close side and bottom seams of both outside fabric and lining in one seam, right sides facing (remember, you have to leave a gap on the lining bottom, so we can reverse everything inside-out). 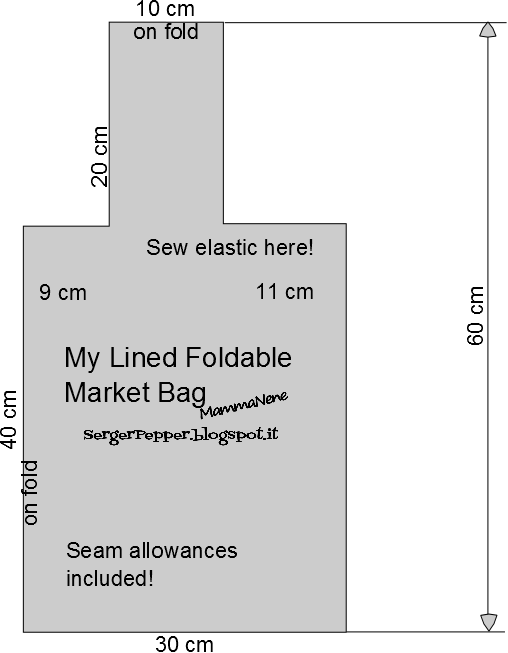 Your Lined Foldable Market Bag is done.